Gun documentaries are typically of the "get the guns off the street!" variety or, the "let law-abiding citizens defend themselves!" sort. The intent of this film isn't to sway folks on one side or the other. Instead the director, Darren Doane, is reaching out to people like him, who already believe law-abiding citizens should have the right to bear arms...but who don't own a gun themselves. "I want to own a gun, I'm pro-gun, but I'm scared of guns....With this film was I wasn't going to be tracking down FBI statistics, I wasn't going to be looking at charts. I'm already for guns – I'm just scared to death of guns. I wasn't trying to convince myself guns were good or guns were bad. 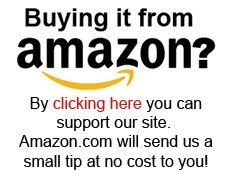 I just wanted to figure out what would it take for me to actually bring a gun into my house." That, right there, is the moral of this movie - if you think gun ownership is important, if you think guns in the hands of private citizens is a good thing, if you believe guns are an important protection tool....then you should go get one too. Doane takes us along as he and his wife try out different guns and discuss the merits of this one over that. We hear from different gun owners explain why they decided to carry a gun. We visit a gun manufacturer and see how one of the more controversial guns in America is made. And we get to peek in on a gun safety course, where the instructor goes over the legalities and ethics of gun usage. It's here in this classroom setting that a few conversions might be made. If you're watching this with a friend who is a little, but not a lot, anti-gun, then this instructor has a story that might nudge them over just a bit. He shows a picture of the front and back torso of a 6'4", 240 pound, 8th degree black belt police officer, who got cut up by a 5'2" 58-year-old, 120 pound man. The assailant had a box cutter and a 3-inch lock blade knife, and in just 15 seconds slit up the officer all over, through his bullet proof vest. This isn't as gory as it sounds - the pictures the instructor showed aren't shown very clearly in the film - but the story itself is impacting. It doesn't take much imagination to figure out how much worse it would have been if the sizes had been reversed - what is a small guy, or woman, going to do if a big guy attacks with a knife? Guns still scare me, but this film did a lot to convince me that (when time allows) I should really learn how to use them responsibly. Yes, they can be lethal, but most every day I use a tool that can cause just as much damage - my car - but because I've been trained, and because I use it with caution, I'm not worried about having that in my house. A gun is a tool too, and one I do want my girls to know how to use. So if I'm going to teach them, I better learn some time soon myself. Darren Doane is a documentarian best known for his films Collision, about a series of debates between Reformed pastor Douglas Wilson and atheist provocateur Christopher Hitches, and The Free Speech Apocalypse, about Pastor Wilson's visit to Indiana University to do a talk about God's view on sexuality. These are both awesome documentaries, and if you are familiar with those, and expecting this to be like them, you might be a bit disappointed. This is a more modest effort, and, strange to say since we're talking about guns, not nearly as controversial. So take this for what it is – a solid film about guns. The only criticism I'd have for it is that it would have benefited from being 5 minutes or more shorter - he repeated some of his points a time or two too many. That aside, this would be a very fun one to watch with a large group of friends. It'll get some interesting conversations going! 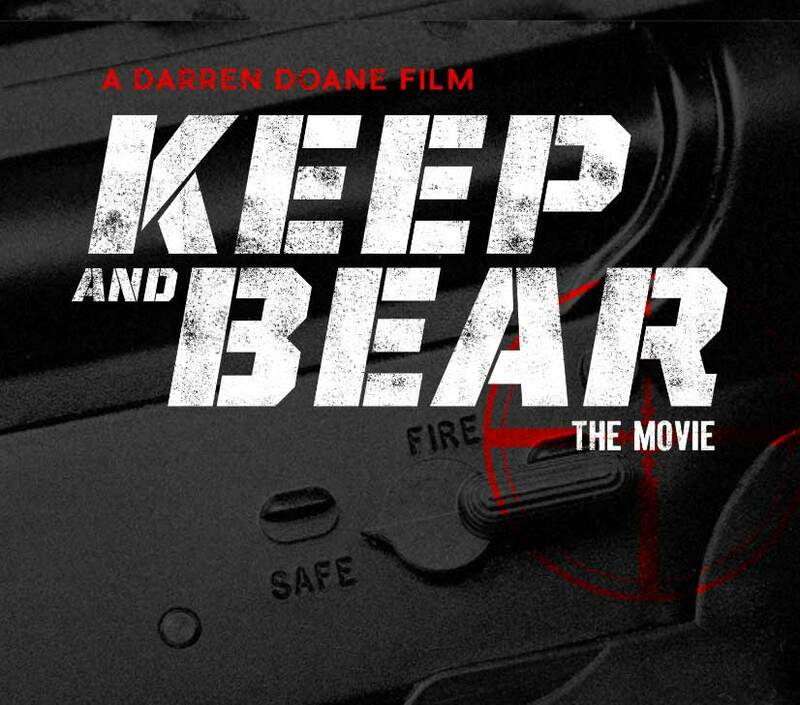 Keep and Bear EXCLUSIVE TRAILER from Darren Doane on Vimeo.